This is the longest running home tour in Arizona, and the 49th tour will feature some significant and Historic homes that have never been seen before! The tour will be Saturday, May 17 through Sunday, May 18 from 9:00am-5:00pm (3:00pm is when the last tickets will be sold for people to finish the tour by 5:00pm). Tickets can be purchased online for the first time: http://goo.gl/wwlrWU. $20 for adults, $10 for children; the tour is not handicapped accessible. One Historic home on tour for the first time is The John Riordan House, on Magnolia high a top Company Hill. The Riordan Home has been totally renovated to a spectacular level of charm and perfection, right down to the period furniture, kitchen and beautiful outdoor spaces. The home was buried in dirt for decades after a culvert ruptured! Be prepared for a wild ride as large vans drive visitors to each location, with their personal tour guide aboard to explain the details and history of the homes and buildings. 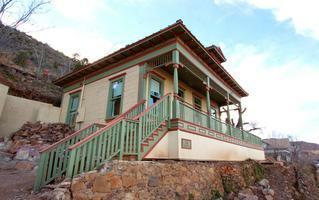 Play in Jerome, but stay at El Portal Sedona Hotel, a luxury inn in the heart of Sedona. 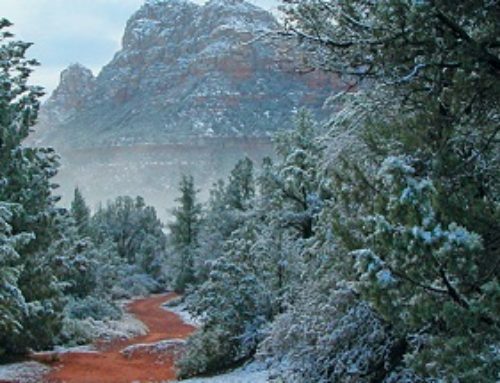 We have unique concierge services for the Sedona area, including Jerome! 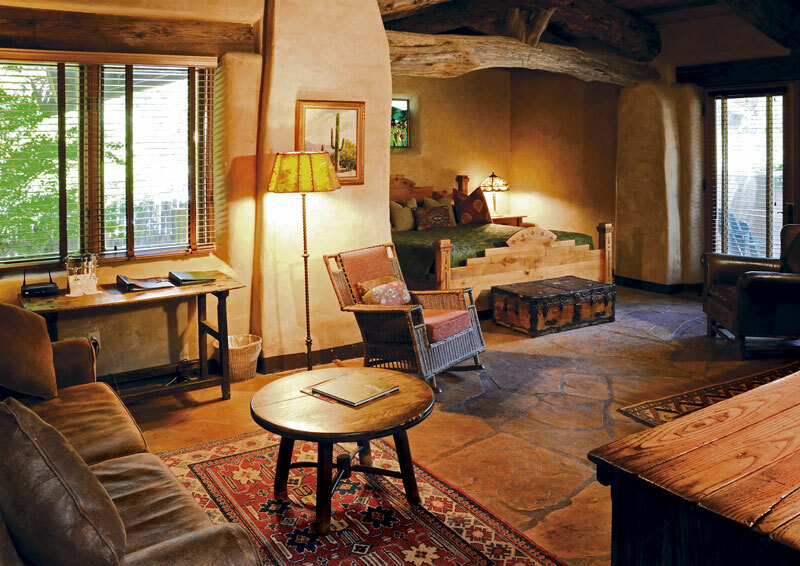 Our Sedona accommodations are second to none; every room is unique and full of individual character with beautiful antiques, stained glass accents, king size beds, private patios and balconies, hand carved headboards and more! For your unpretentious, but luxurious Sedona hotel room, call us at 1.800.313.0017.